Outside the Ball’s Love Week continues as our host Mayleen Ramey talks to Monica Puig about her baseball boo, Derek Dietrich. 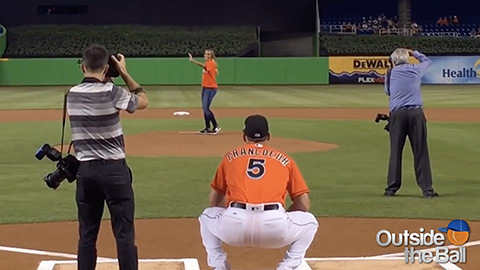 Monica thought her first pitch went well, and clearly, her skills impressed Dietrich. “She knows how to throw a baseball, that’s good,” Puig joked. Monica Puig’s relationship with Derek Dietrich is a home run and this interview is a sweet glimpse inside how it all started.